I assume you would agree that being a full-time blogger is an intangible ideal for many. Most of us have to juggle main job, blogging, hobbies and social life. Not surprisingly, instead of being creative and productive all the time, sometimes we may end up feeling too tired and unmotivated to post new article. Is it a bad thing? it definitely isn’t. But would we prefer to avoid it? Most probably. You might have noticed, that we weren’t active enough on blog last year. There was always something more important: studies, jobs, YouTube. But looking back at the year 2017 in January, I suddenly realized how many awesome opportunities we were missing on by simply being a bit unfocused. So year 2018 would be a year of learning to plan ahead and monitoring my results. I couldn’t be happier to find two role models not further than here, in Tauranga. 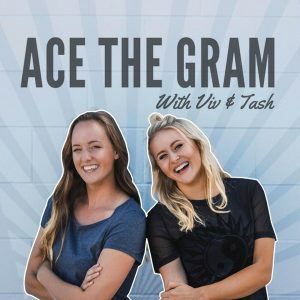 Viv and Tash started their own company “Ace The Gram”, educating kiwis on how to grow their exposure on Instagram and how to use social media for their businesses. They do workshops all over the country, manage a very helpful Facebook group and have recently launched podcast covering the same topic. They are also extremely good in planning. Embarrassing, how many times in a row can I watch their Stories about daily/weekly/monthly planners, to-do lists and all that stuff that keeps me motivated, but that I was never good enough in to do it consistently and to achieve some really impressive goals. So I asked Viv and Tash to share some tips and help bloggers (and anyone) be more organized. – OK, what are the first steps in planning? What apps/tools do you use to stay on track and be productive? Viv: Tash and I LOVE our KANBAN. 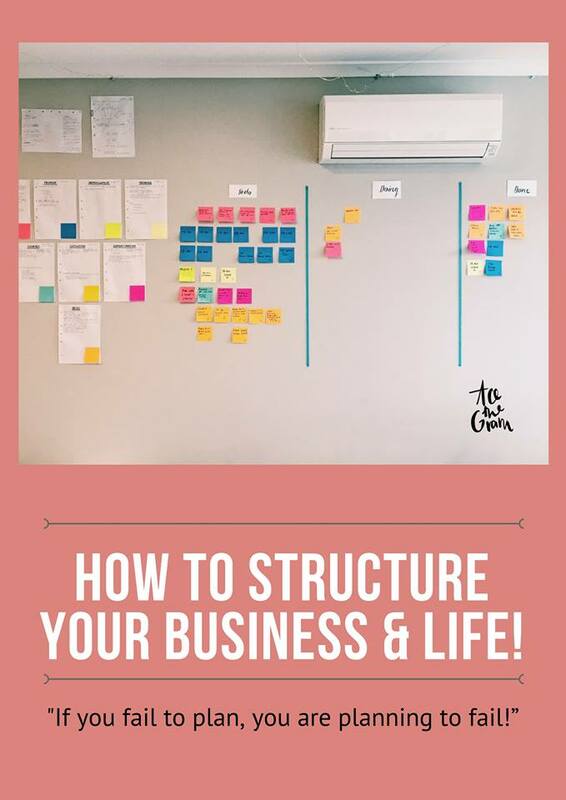 At the beginning of the year we figured out what our goals were for each area of the business, and now every week we put sticky notes in the ‘to do’ column that move us towards achieving our business goals. Visualize workflow. Structure your work tasks with different colours (for example, Viv & Tash align different colours to different goals) and organize them on a board in three columns: ‘To Do’, ‘Doing’ and ‘Done”. Move stickers from left to right as you proceed with completing the tasks. Limit work in progress. You might realize you have million things to do, but start with those of a highest priority, limit them in numbers (for example, 10 things you’re REALLY able to do this week) and don’t put new tasks on a board until you’re done with the previous ones. We both use Google Calendar – it’s so easy to invite each other to an event via email, and it syncs with your phone and computer which is great. Tash is currently obsessed with her bullet journal. She’s a total creative, so it makes sense! It’s a book full of dots that allows you to format the Journal in any way that you’d like. She keeps a written journal, records her habit trackers, and daily/weekly/monthly/yearly goals with her bullet journal. Monthly log. Basically a calendar of all meetings and events planned for this month on one page. Keep it clean and simple! Daily Task List. Key things you plan to do today: to buy gym pass, to write a blog post, to sort out issues with shower, etc. Collections. Books to read, restaurants to try, people to interview. Ideas might be endless! It is really convenient to group these things on one page and tick off whatever was accomplished. Habit tracker. Page to track your “better me” habits through out the month. My fav (stolen from Tash’s Stories, ha!). 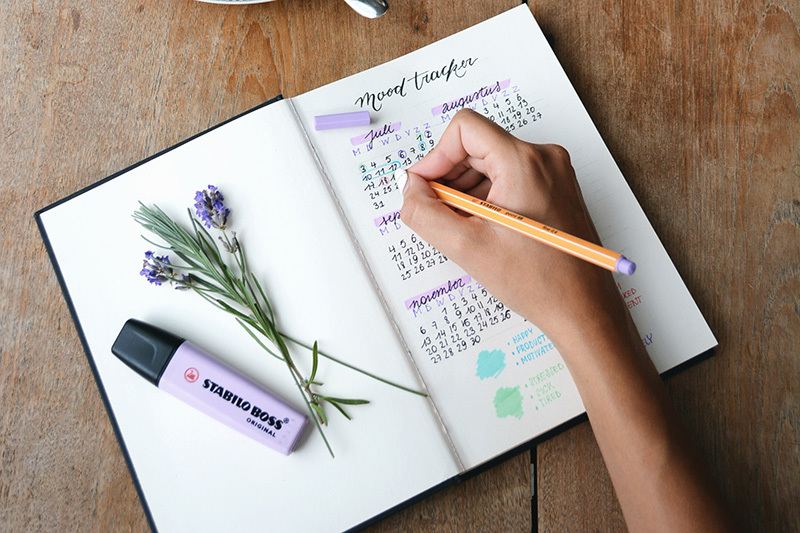 “Out of bed by 7 am”, “Workout”, “Blog post”, “Reading challenge”, “No dairy day”, “Vitamins” – set up several things you’re aiming to do on a daily basis this month, draw a table and tick off what was done today. We also use Vision Boards. (Mine is still in progress!) 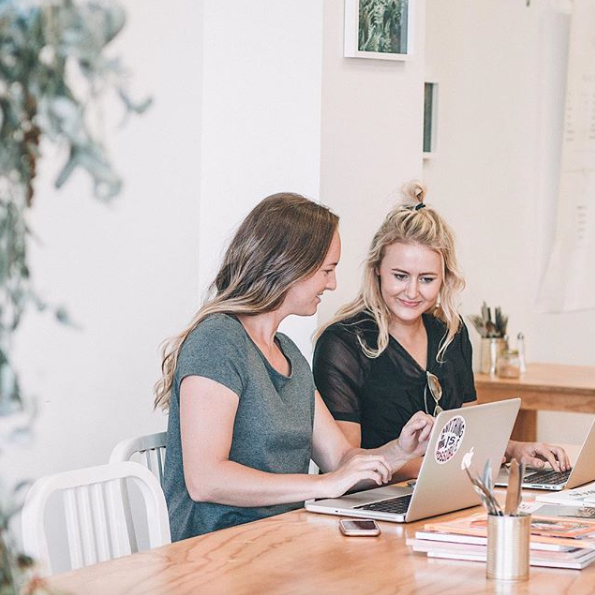 They’re so important to keep you on track for not only business goals, but what you want your life to look like and how to achieve things that you want. – And what would you recommend for social media / blog updates planning? Tash: Sync your social media calendar with your key goals and intentions for the year. For example, if you know you’re going to be launching something or working with a company than ensure you can do lead up posts that will flow with the scheduled content. The best way I see people use social media/blog updates are when they tell an ever evolving story – whether it’s the story of your journey or that of your business people will keep tuning in to get the latest update. – Is there something that didn’t really work for you in terms of planning? Viv & Tash: Only using a paper system without any support of online system. We’re all about using paper for goal setting, etc., but having the ability to sync events and email meeting invitations/deadlines is life changing. The fact it’s electronic means we don’t have to constantly check in with each other as it automatically updates.